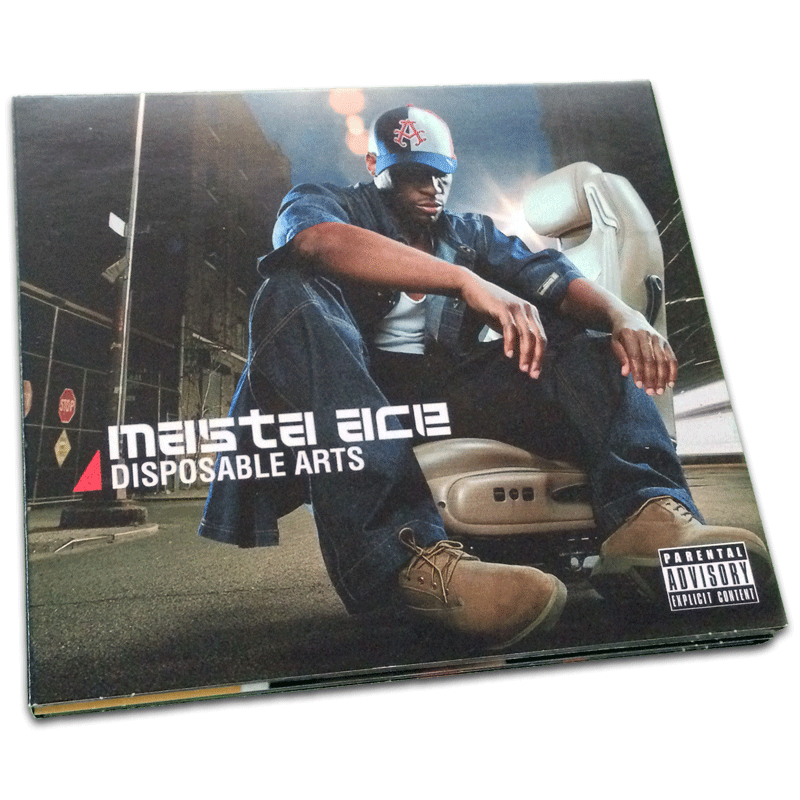 Originally released in 2001, Disposable Arts is a thematic/concept album by Masta Ace. 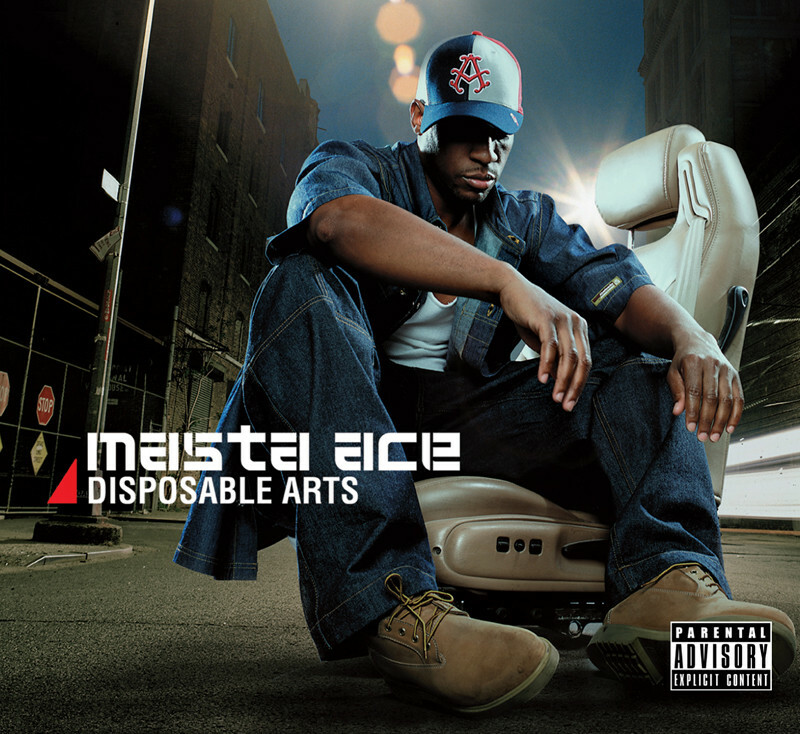 The concept follows that Masta Ace is being released from prison, his return to home and joining 'The Institute of Disposable Arts'. 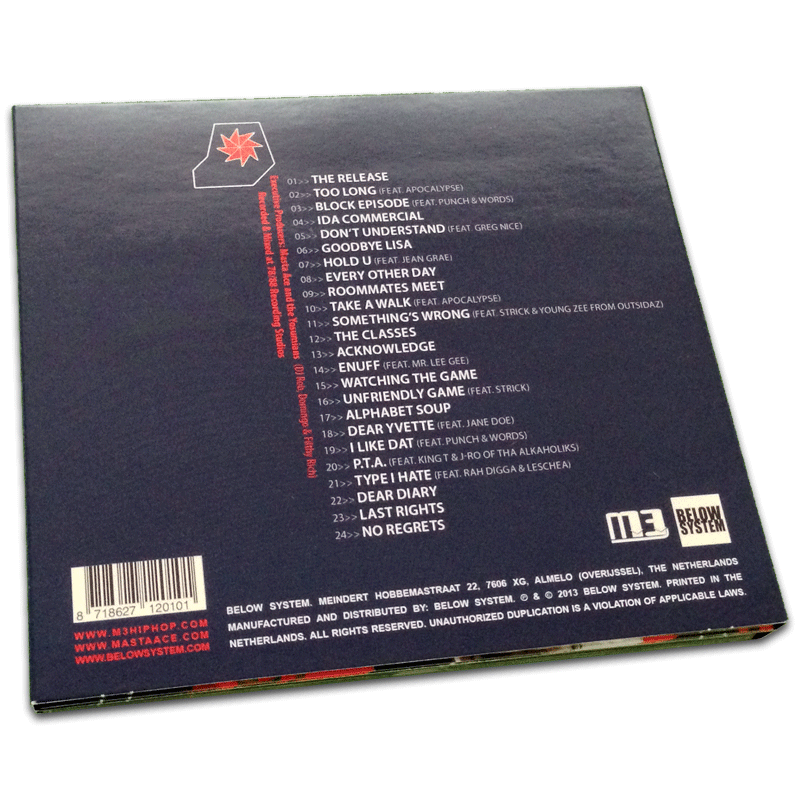 The album is one complete story with the skits and songs together. 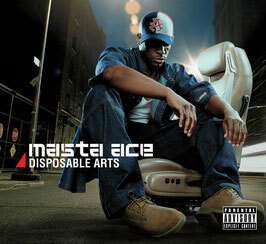 The album contain many guest artists like Masta Ace's own group eMC (Stricklin, Punchline & Wordsworth), Apocalypse, Greg Nice, Rah Digga, J-Ro, King T, Jean Grae and more. 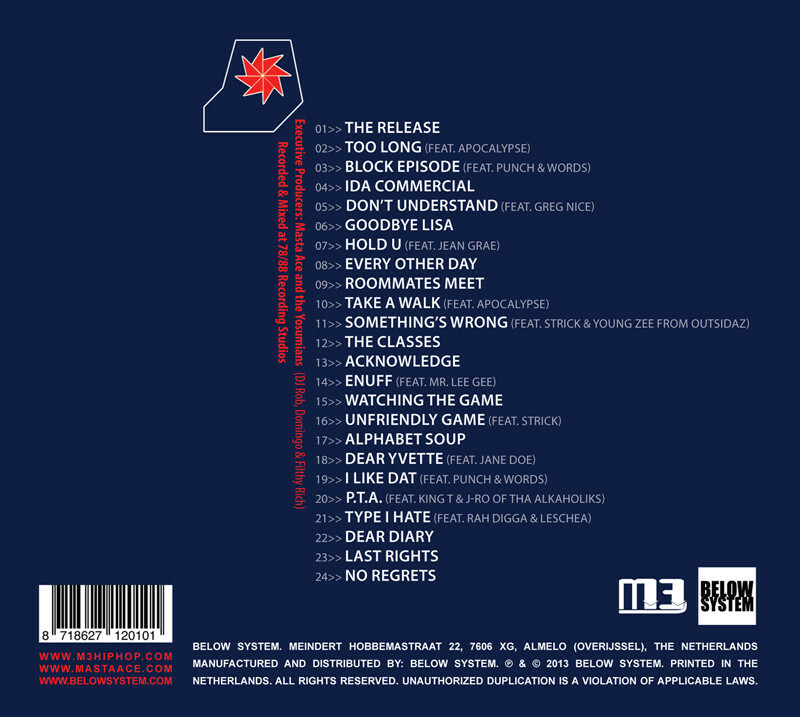 Also a bunch of different producers, this album is seen as a classic album by most Hip Hop heads. This reissue by Below System, contains almost a 2 hour making of DVD where you will see most of the contributors to the Disposable Arts album. Interviews, stories behind the tracks and more content about the making of Disposable Arts.